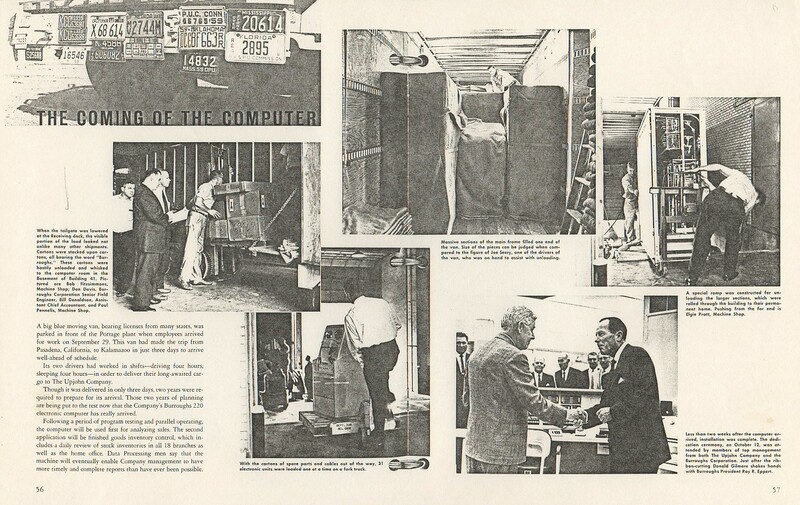 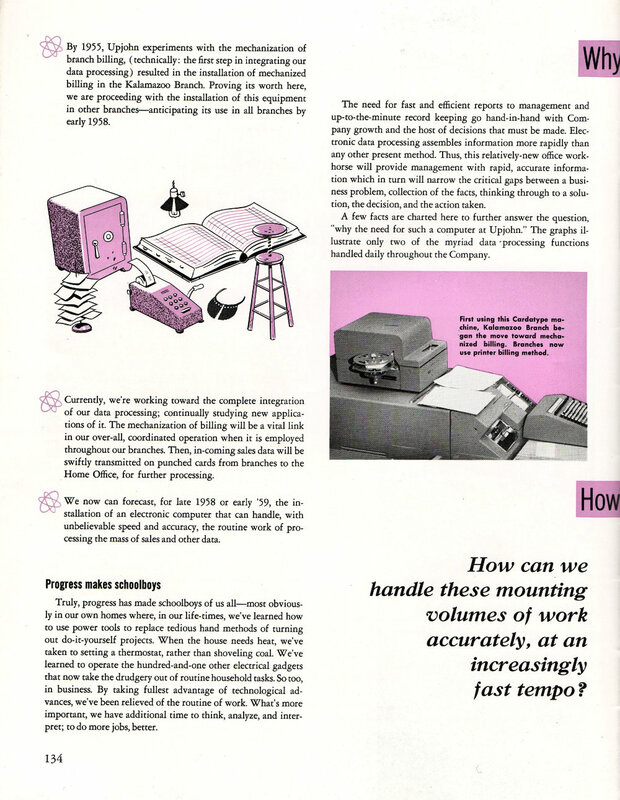 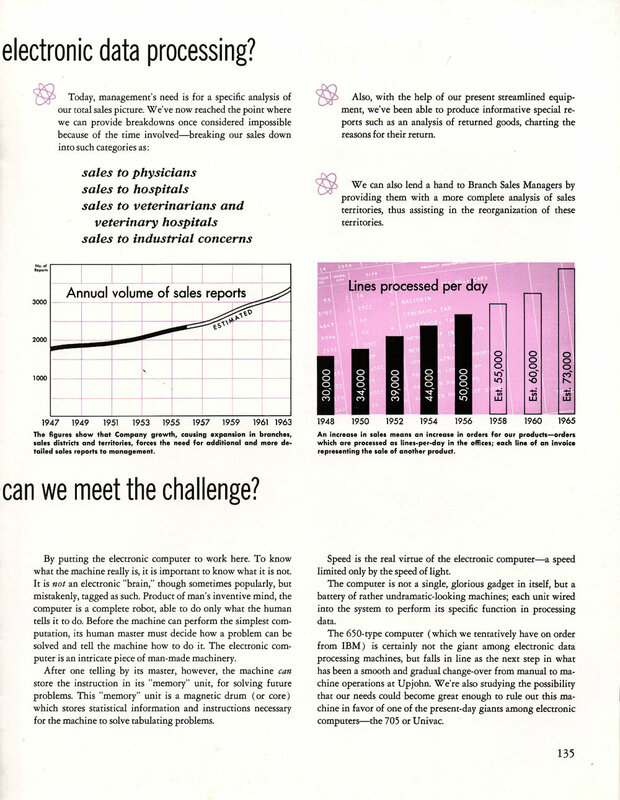 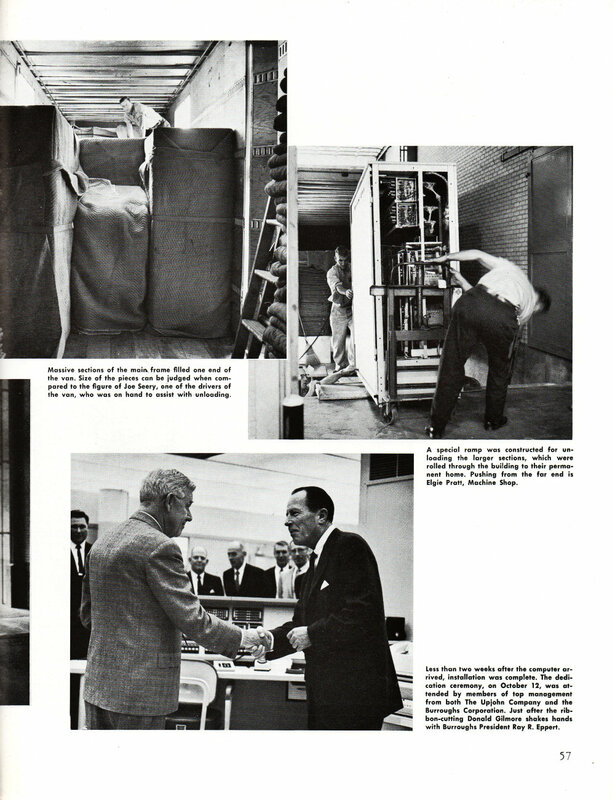 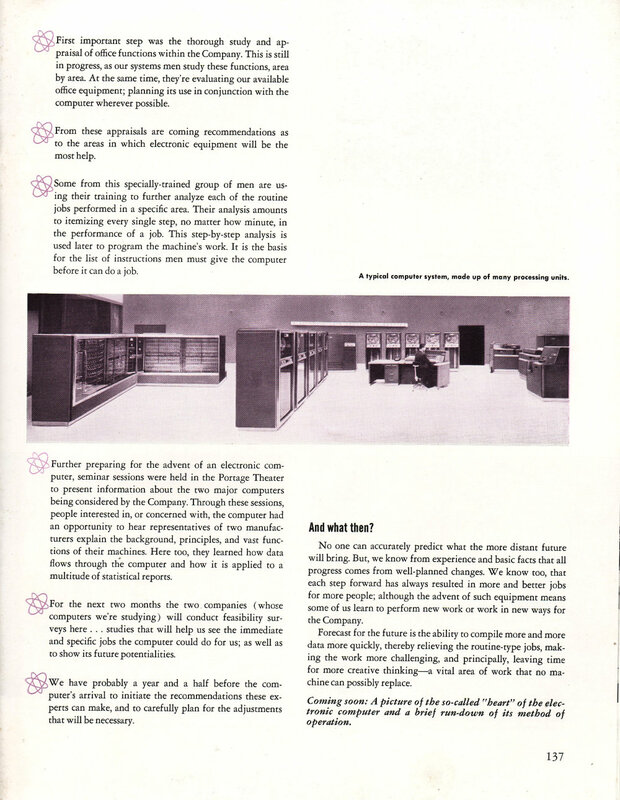 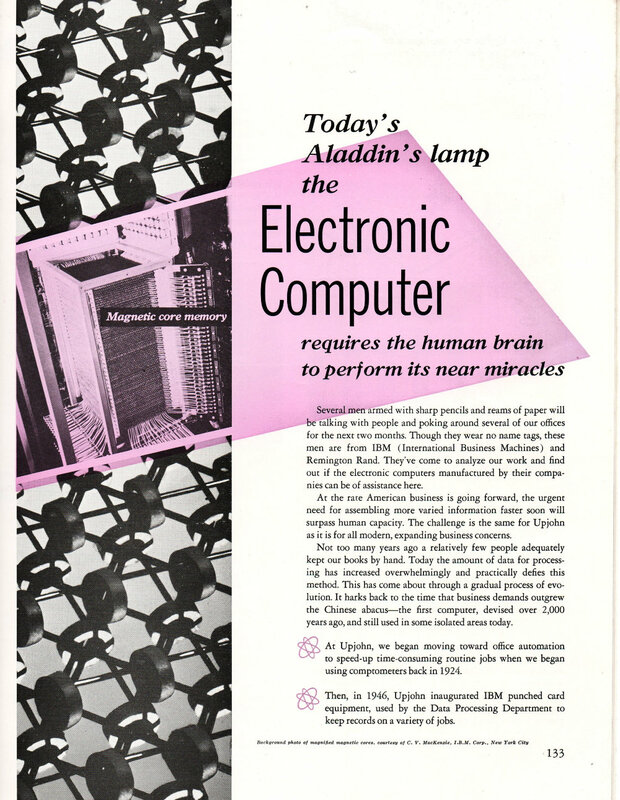 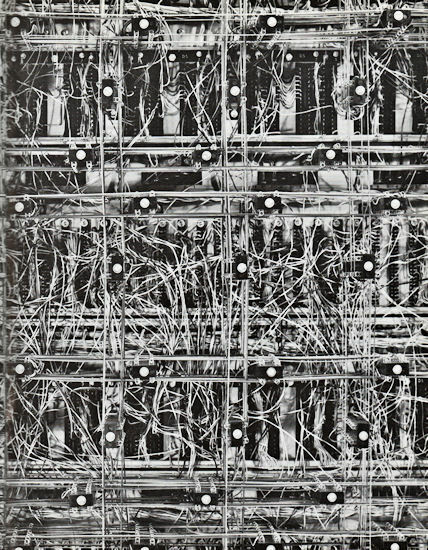 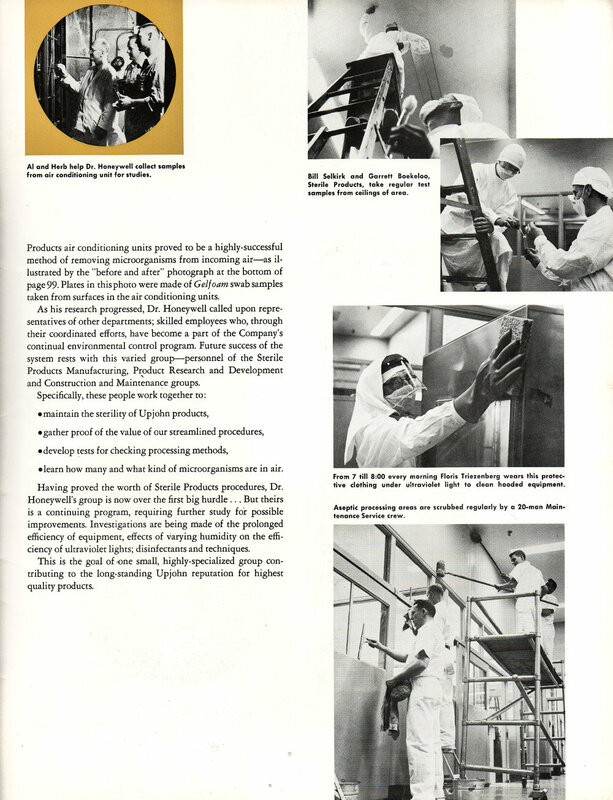 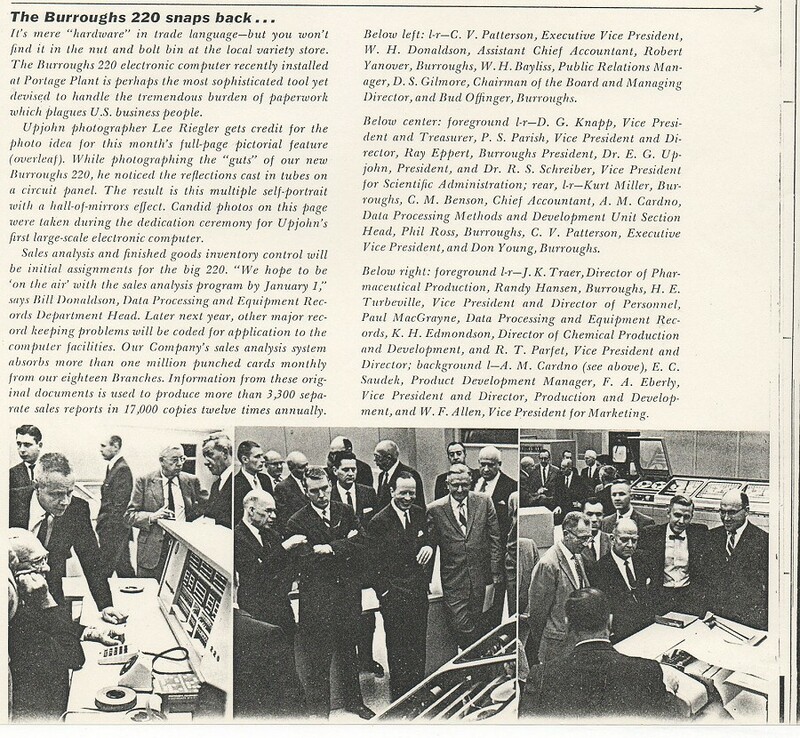 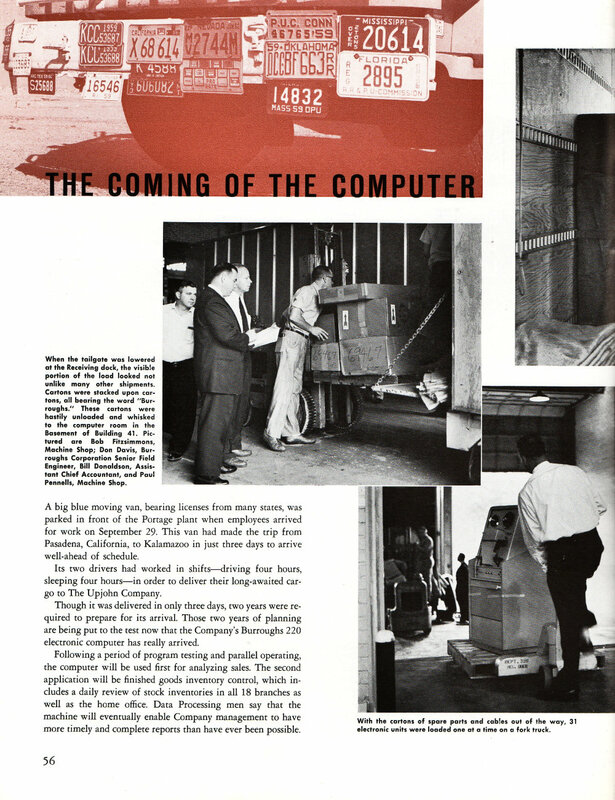 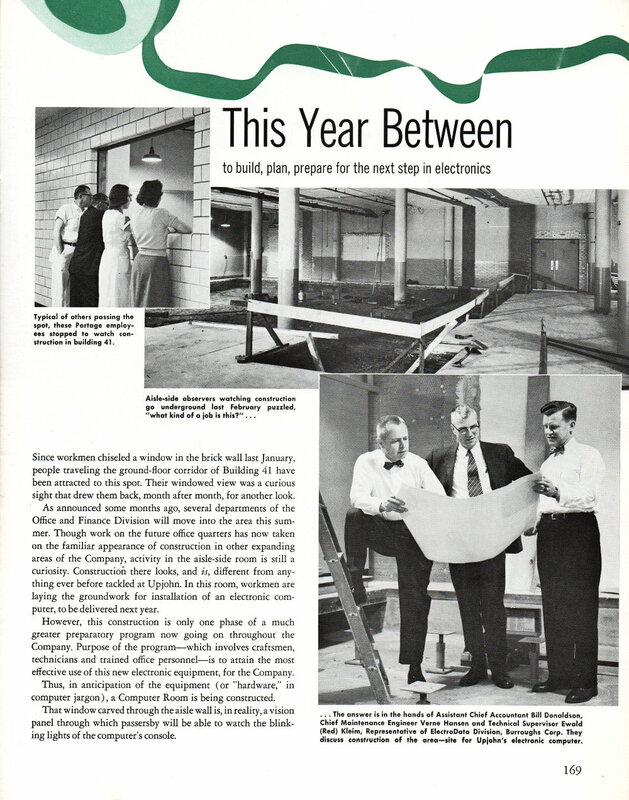 These two November 1959 articles below describe the arrival of the very first computer, a Burroughs 220, at The Upjohn Company. 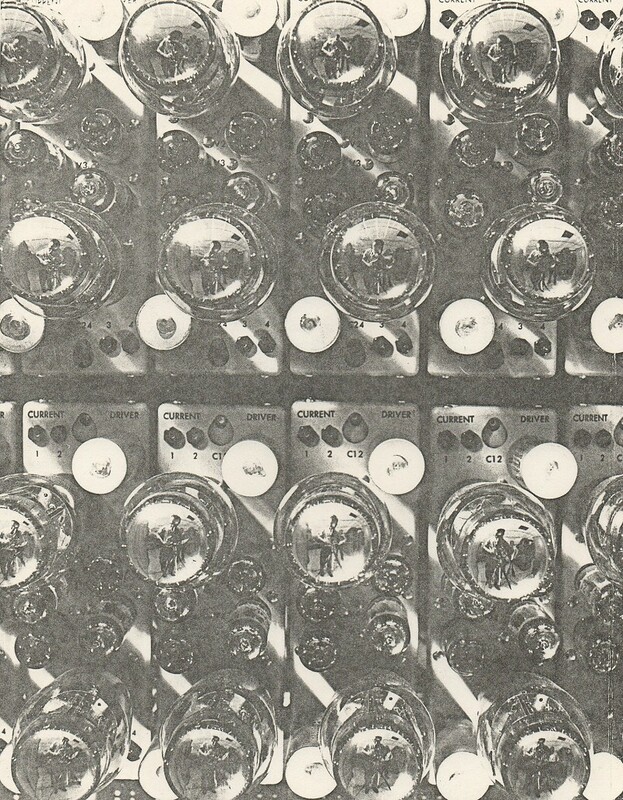 Note the artsy photo of the vacuum tubes that this new and exciting machine used. 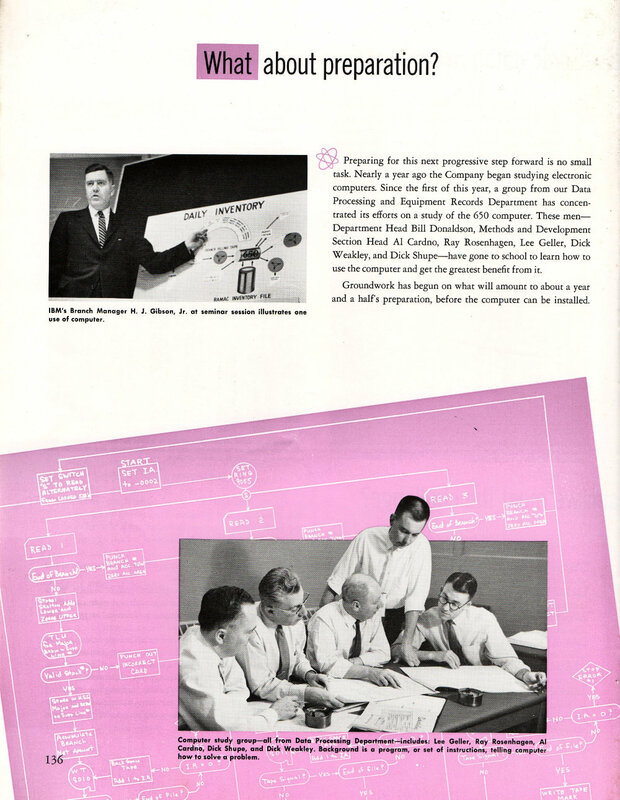 How times have changed - a PC for home use today has much more power than this million dollar mainframe! 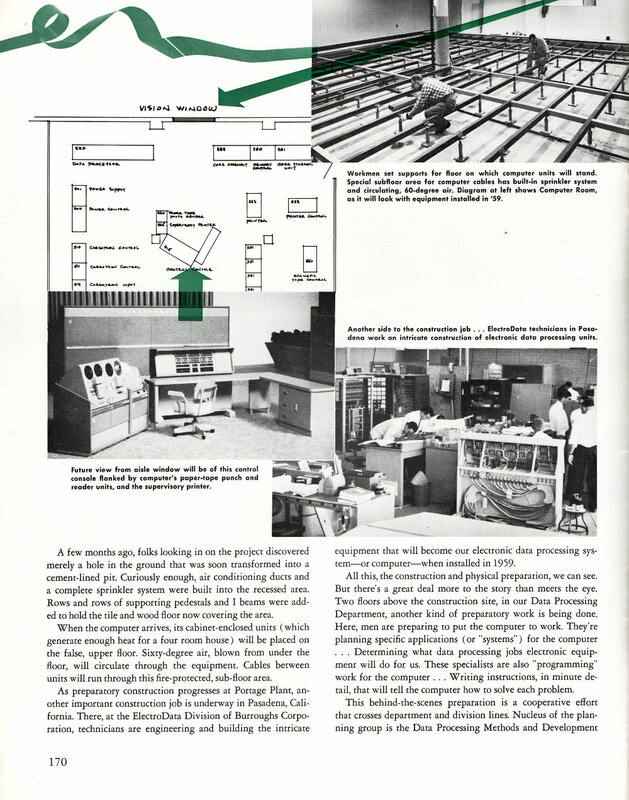 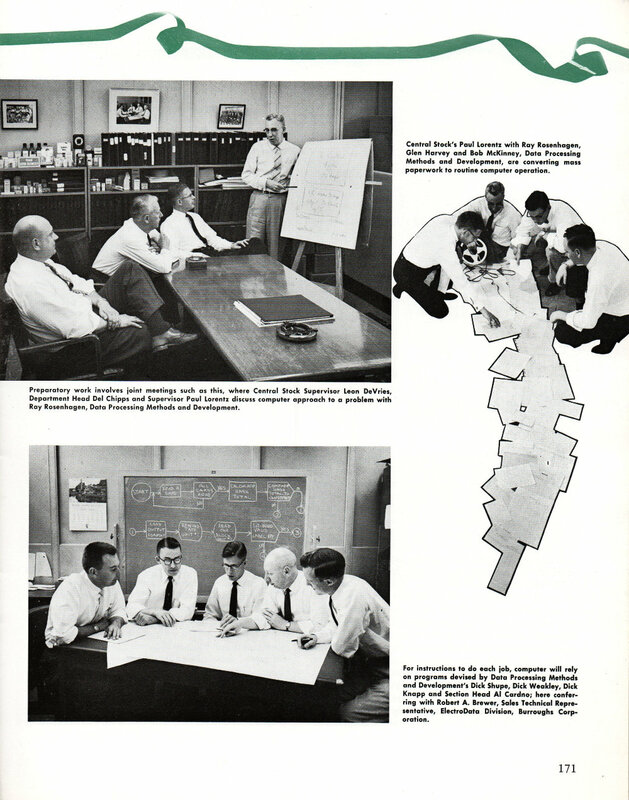 And this June 1958 Upjohn News article covers the planning and new construction required for the new main frame computer.